This computer desk is the perfect choice for your home or office. 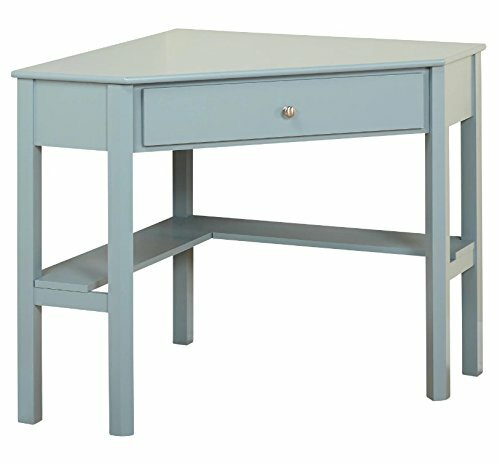 This attractive and durable desk features an antique blue finish and solid wood construction, with MDF and wood veneer additions. The lower shelves and drawer offer a great way to save space and make it easy for you to keep your items organized.